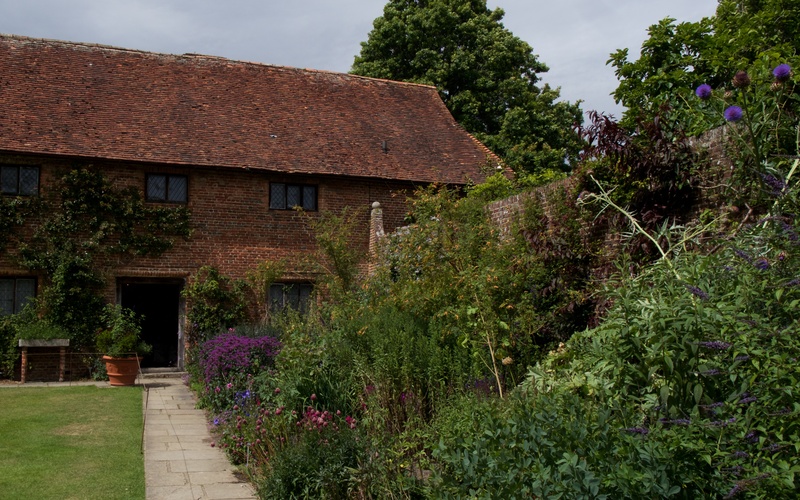 In the Spring of 1939, my mother accompanied her mother on a visit by the Hildenborough Women’s Institute to Sissinghurst Castle Garden. 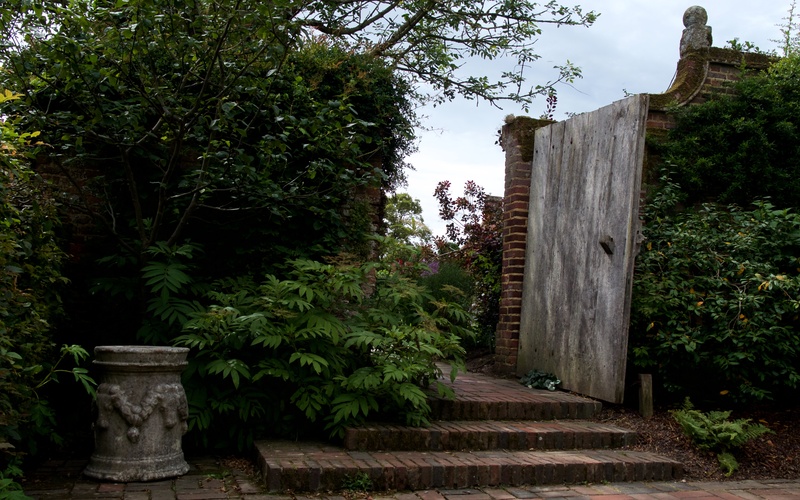 The group alighted from a charabanc and were shown round the gardens by the owner, Vita Sackville-West. My mother, not quite in her teens, remembers a vibrant, kind woman with an easy manner. Her overwhelming memory is of the vivid beauty of the cottage garden and the magical coat of Spring colours laid down the Lime Walk. The cottage garden is jubilant yellows and reds with four ovate yew trees and a great gun metal blue planter at its heart; Mme. 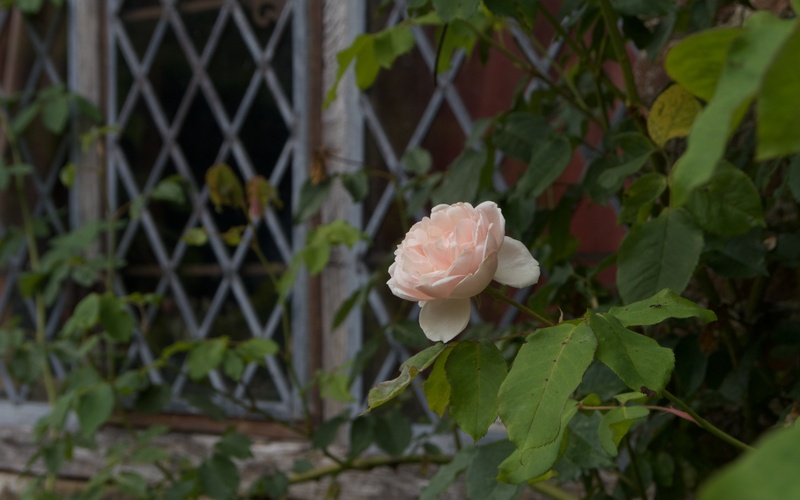 Alfred Carrière is the climbing rose above the oak door. 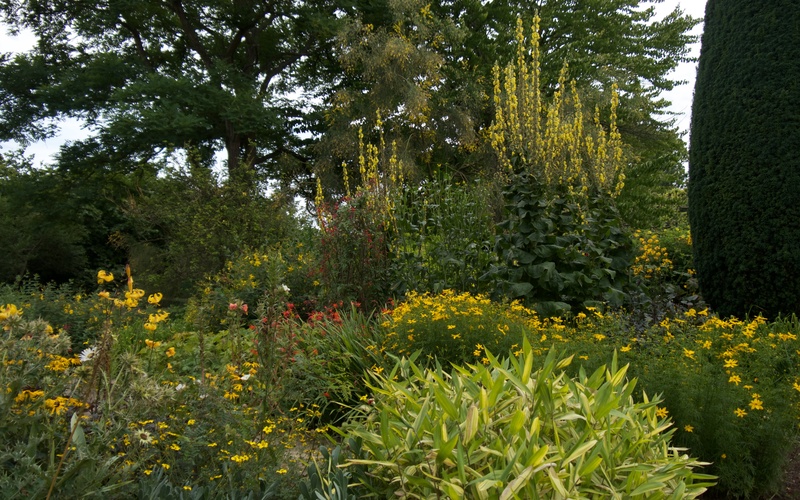 Another view of the Cottage Garden; the plants flow in waves of calm and choppy water. 75 years later and my mother returns on a sultry August day with skies full of flat clouds and, when the sun breaks though, light of white lead. We walk the gardens at a slow pace dodging the multitude of other visitors from Britain, Europe and beyond. The Main House and Long Library, with leaded windows, deep rich red bricks and roof tiles and generous eaves is no more than a gatehouse to a long forgotten, medieval manor; the old building stoops kindly amongst the green lawns and gravel drive. The Long Library and Purple Border. The Main House and Long Library from the Rose Garden. 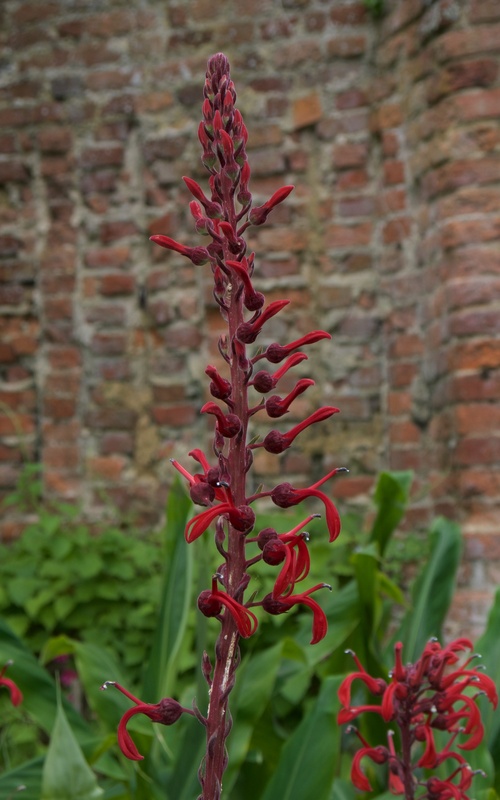 On the far side of the quadrangle, the tall Elizabethan Tower is more a fairytale folly than a defense, and the garden wheels on its stark axis. 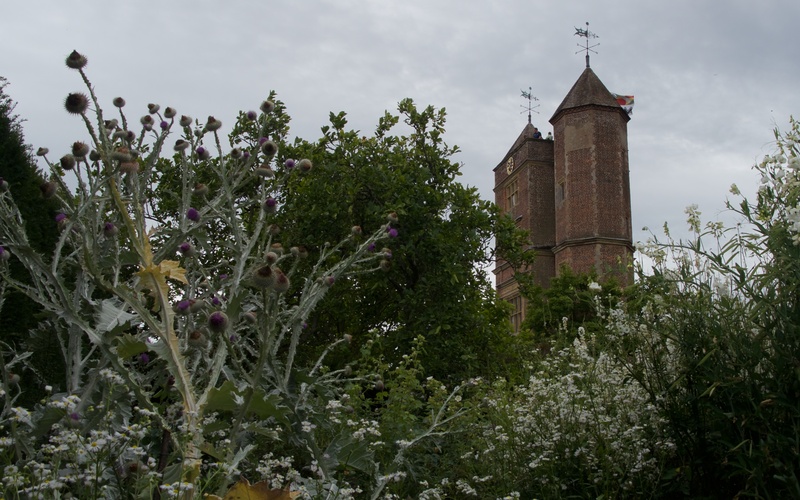 The Elizabethan Tower from the White Garden. 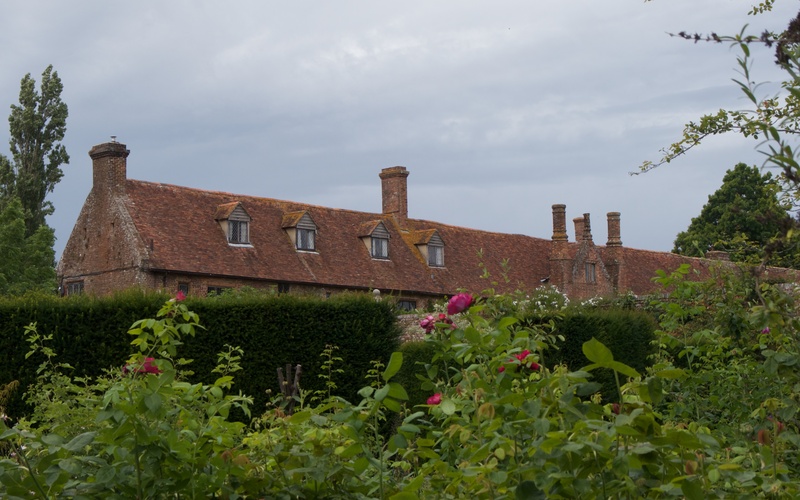 The Tower and Long House are linked by high walls of ancient pink and red brick, draped in climbers and shrouded by shrubs and trees to create a quadrangle in which lays a croquet flat, green lawn. This is the Top Courtyard. On the far side of the Tower is another enclosed lawn edged with paths and dense borders, the Lower Courtyard. 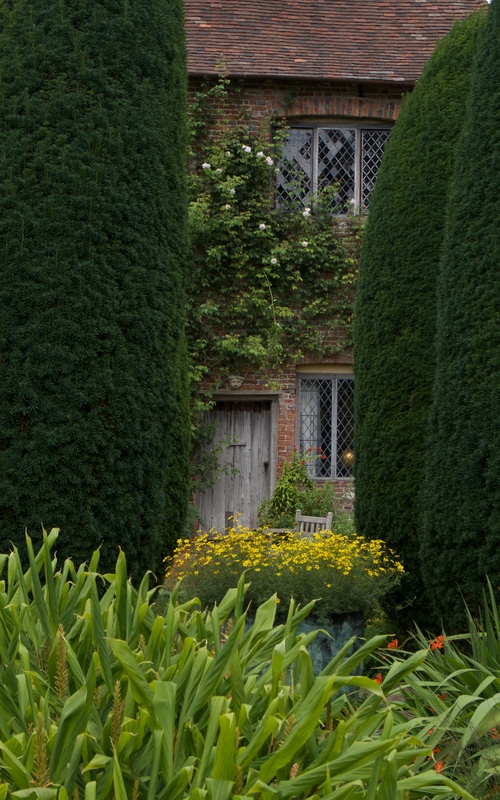 At the bottom of the Lower Courtyard is a long, narrow path through parallel, high yew hedges; a most claustrophobic transporter. 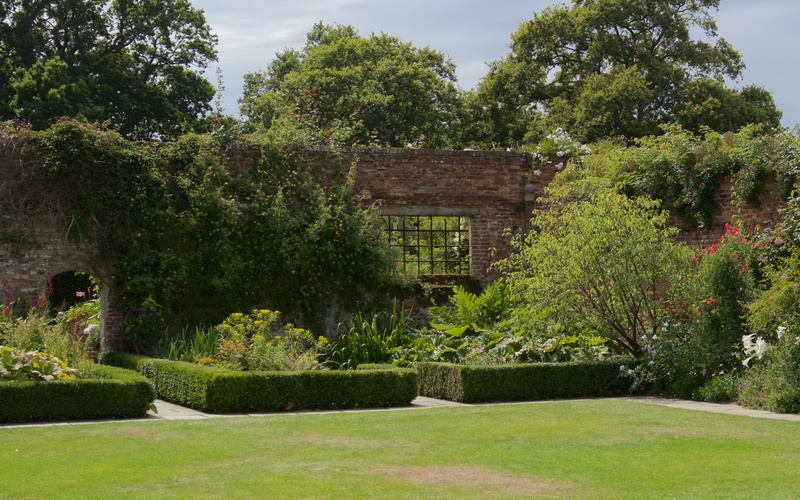 The Top Courtyard; flat lawn, sandstone paving, box hedging and ancient walls create the frames for the impressionistic planting. The garden compartments sit around the buildings and their courtyards, each enclosed within more high walls or hedges and subdivided into long borders and geometric patterns by flagstone paths and edgings of square-clipped box. 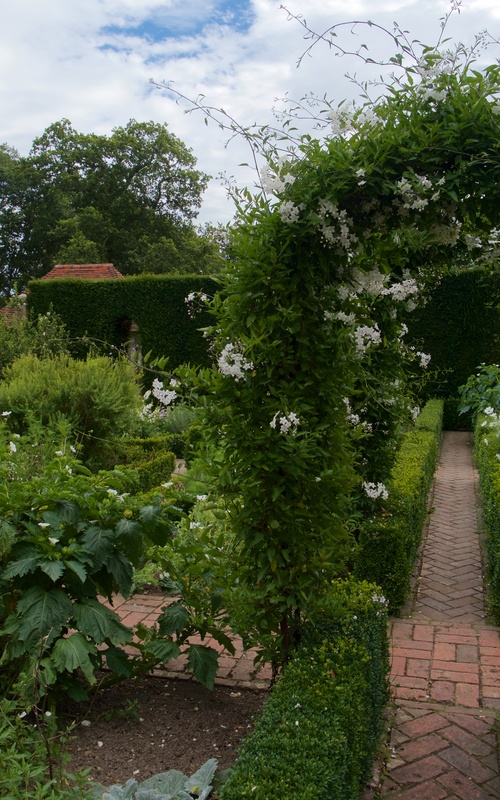 The result is a patchwork of famous gardens within a garden; White Garden, Rose Garden, Delos and Cottage Garden. On all this, hangs the Lime Walk, the Moat, Nuttery and Orchard together with a distant Herb Garden. 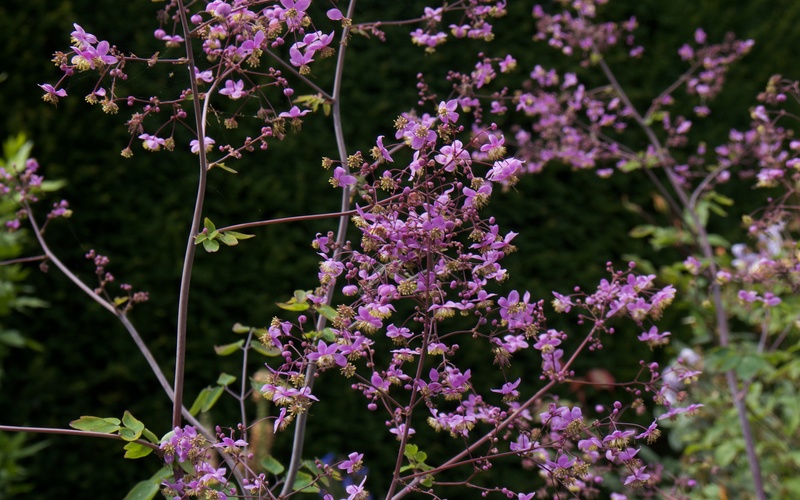 The planting creates different sets of colours and shapes daubed, piled and mixed on artist’s palettes. A walk through an archway or old oak door is like falling through a rabbit hole. Another entrance to another world. 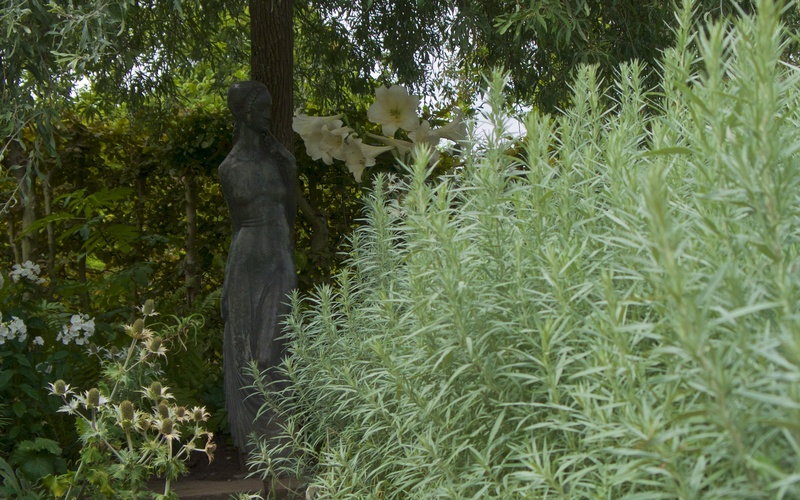 The White Garden with statue of the Vestal Virgin under a willow. Flagstones and hosepipe amongst the borders. and against the old walls. The ever changing moods of serenity and excitement, order and confusion, simplicity and complexity within small, often intimate, spaces tied by meticulous, mathematical hedges and edges, perhaps reflect the fragile and complex minds of its makers and of England between the Wars. 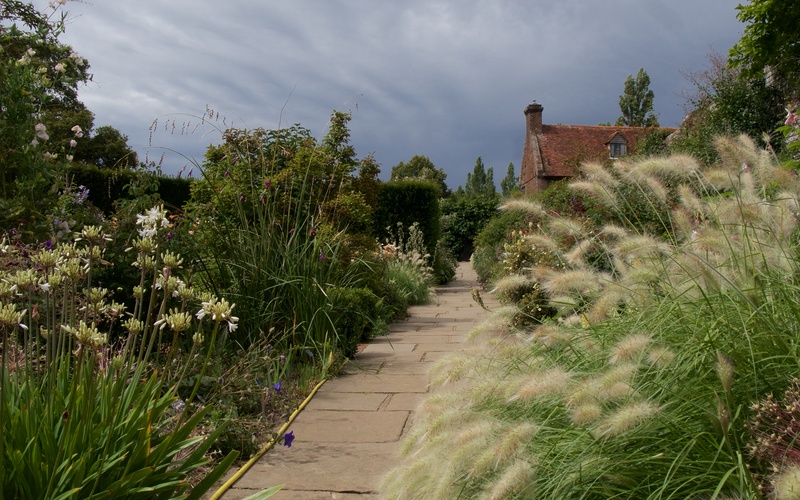 Sissinghurst fulfils a longing to be immersed in a timeless age, silently and effortlessly enveloping and overpowering like a sad poem. It brings back a multitude of memories for my Mother. What a great story. Did your Mother think it was much changed?